The Lunar shower is the perfect option for creating a modern showering environment that embraces the latest bathroom trends. Square designed hardware has previously been either very expensive or a tad overpriced. The Lunar is pitched perfectly with its blend of great looks, quality materials and brand pedigree. 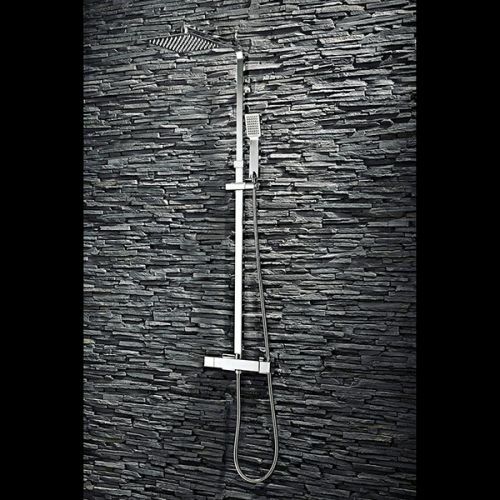 The shower system incorporates an exposed rigid riser system that looks slim and sleek and is also telescopic. This is perfect for a growing family with members of all sizes. 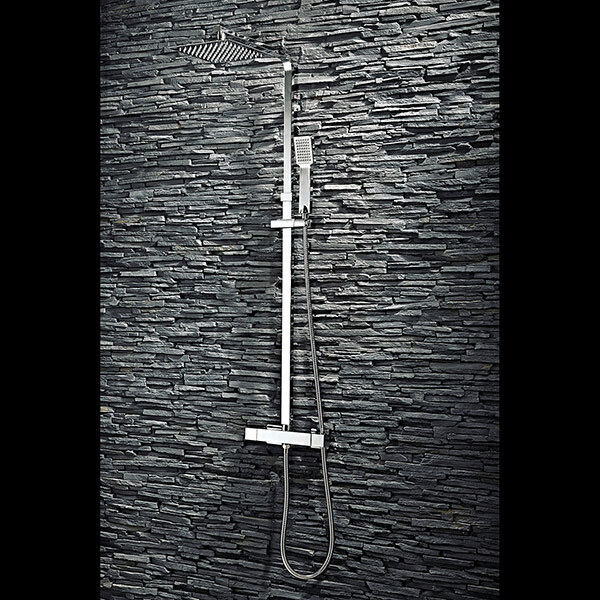 A square bodied thermostatic safety valve houses the flow and temperature control as well as the water diverter to the main showerhead or adjustable shower handset. 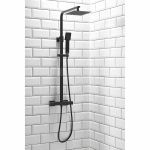 The showerhead design is rather nice comprising of a razor thin solid 200mm square piece of metal with easy clean rubber nozzles. The fixed design can be angled to the direction you want to aim the spray to. It's a contemporary look that is further enhanced with the matching handset, hose and holder. Shower safely and in style with the Scudo Lunar.